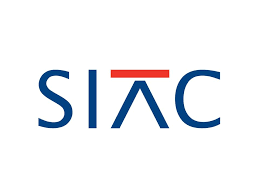 The Response to the Notice of Arbitration under the SIAC Arbitration Rules 2016 is the first written submission that the Respondent to an arbitration must file. This memorial will typically set the main lines of its defence, which will be subsequently developed. The Notice of Arbitration as well as the Response are the first documents that will give the arbitrator or arbitrators a first impression of the case, so are important to draft correctly. The Respondent has only 14 days from the receipt of the Notice of Arbitration to file the Response (Rule 4.1). This is a relatively tight deadline compared to the ICC Arbitration Rules, which give the Respondent 30 days to file an Answer to the Request for Arbitration. However, the SIAC Registrar may at any time extend this time limit upon the Respondent’s request (Rule 2.6). Here, the Respondent should present a basic defence on merits and on jurisdiction of the arbitral tribunal, if applicable, e.g. objections to the existence of an arbitration agreement. The Respondent will have the opportunity to provide a more detailed defence in its Statement of Defence and Statement of Counterclaim, if any, as referred to in Rules 20.3 and 20.4. The Respondent can submit these detailed memorials with the Response to the Notice of Arbitration (Rule 4.2). The quantification of any counterclaim amount is necessary for the determination of the Tribunal’s fees and SIAC’s fees in accordance with the Schedule of Fees (Rule 34: Fees and Deposits). This amount may be updated later in the arbitral proceedings. The Respondent may include any comment on the name of the parties to the arbitration and their representatives. He may also comment on the proposal for the number of arbitrators if not specified in the arbitration agreement, on the applicable rules of law and the language of the arbitration (Rule 3.1.b, g, i, j). If the arbitration agreement does not specify the number of arbitrators and there is no agreement between the parties regarding the number of arbitrators, in principle, a sole arbitrator shall be appointed (Rule 9.1). The parties have 21 days after the date of commencement of the arbitration to agree on the nomination of a sole arbitrator (Rule 10.2). In the case of three arbitrators, if a party fails to make a nomination of an arbitrator within 14 days after receipt of a party’s nomination of an arbitrator, or within the period otherwise agreed by the parties or set by the Registrar, the President shall proceed to appoint an arbitrator on its behalf (Rule 11.2). The parties may agree upon the procedure for appointing the third arbitrator. Otherwise, the President of the Court of Arbitration of the SIAC appoints the third arbitrator, who will be the presiding arbitrator (Rule 11.3). If the Respondent brings a counterclaim, it shall pay a filing fee of SGD 2,000 (about USD 1,525) for overseas parties and SGD 2,140 for Singapore parties (SIAC Schedule of Fees, effective as of 1 August 2016). The Respondent shall, at the same time as it files the Response with the Registrar, send a copy of the Response to the Claimant, and shall notify the Registrar that it has done so, specifying the mode of service employed and the date of service. A model Response to the Notice of Arbitration under the SIAC Arbitration Rules 2016 may be downloaded here.